The rent at Haygood Halls Apartments ranges from $1,280 for a one bedroom to a $1,695 two bedroom. Apartments in this building are about as expensive as the Haygood Point average. This is a pet-friendly apartment. This apartment is in the Haygood Point neighborhood in Virginia Beach. 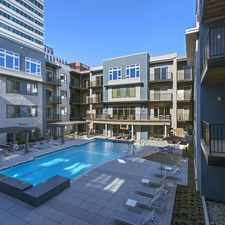 Haygood Halls Apartments has a Walk Score of 64 out of 100. This location is Somewhat Walkable so some errands can be accomplished on foot. Haygood Halls Apartments offers active apartment living for residents 55 years and better in Virginia Beach. Our 55 plus apartments are nestled in a park-like community with beautiful traditional brick buildings and lush mature landscaping. Located near the corner of Haygood Road and Independence Boulevard, Haygood Halls is centrally located, close to the Interstate and beaches and within walking distance to restaurants and shopping.Whether you're retired or still working, living at Haygood Halls offers fun, friendly social and educational activities for its residents including card games, pot lucks, parties at our resort-style pool, financial planning seminars and health screenings. We're a pet friendly community with a fenced in dog park, green space and sidewalks to take your pet for a stroll. Explore how far you can travel by car, bus, bike and foot from Haygood Halls Apartments. Haygood Halls Apartments has some transit which means a few nearby public transportation options. Car sharing is available from RelayRides. Haygood Halls Apartments is in the Haygood Point neighborhood. Haygood Point is the 28th most walkable neighborhood in Virginia Beach with a neighborhood Walk Score of 27. Moving to Virginia Beach from another city? View our moving to Virginia Beach guide. Furnished Studio - Virginia Beach - Independence Blvd.